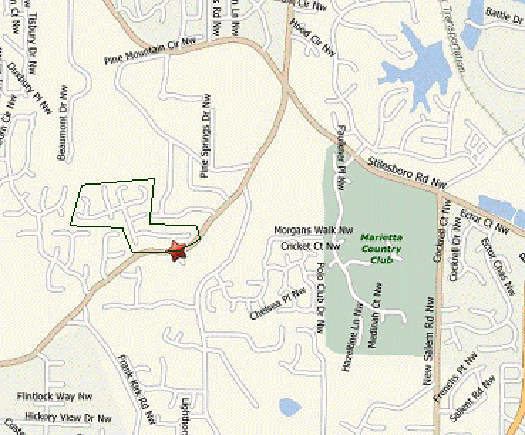 I-75 North to Exit 269 (Barrett Pkwy), turn left toward GA Hwy 41 and proceed 3.2 miles to Stilesboro Rd. Turn right, then proceed 1.3 miles. Turn a sharp left onto Kennesaw Due West Rd. 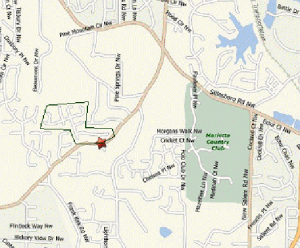 The entrance to Walker’s Ridge North will be on the right after 0.9 miles. 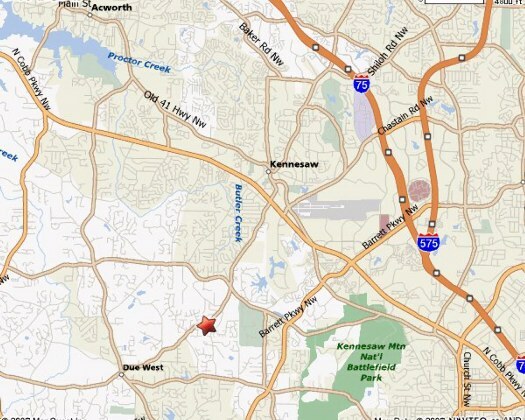 Our neighborhood is found on Kennesaw Due West Road, 0.9 miles southeast of its crossing with Stilesboro Road, in Kennesaw, Georgia. 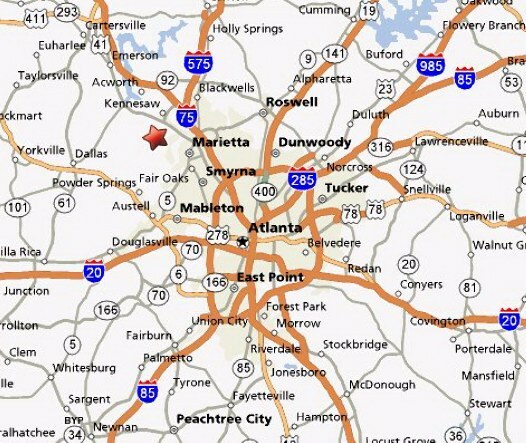 To plot a route to our location with a mapping or navigation system, use 3003 Windward Dr., Kennesaw, GA 30152 as your destination address.